The Lope: Happy Easter, 2008! I hadn't published this one before. 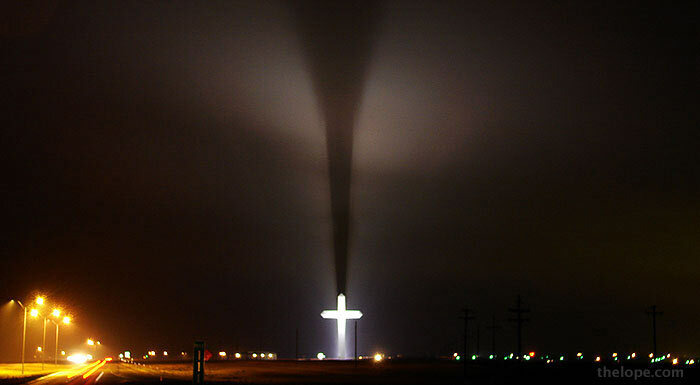 It's the huge Cross of our Lord Jesus Christ near Groom, Texas, in 2003 or 2004. They had finished the grounds by the time of our July, 2005, visit. And its floodlights made it look good in a rain storm in 2007. I was stopped in my tracks just a month ago by the passion displayed on this ivory crucifix from early 17th century Germany, on display as part of the collection of the Phoenix Art Museum. Although the Christ is almost four centuries old (circa 1610-1625), the silver nails and fruitwood cross are modern. Belief systems are never more fascinating than when they've percolated through the cultures they conquer. A fine example of this can be found in the Penitente Brotherhood, a lay religious society prominent in northern New Mexico and southern Colorado during the 19th century. 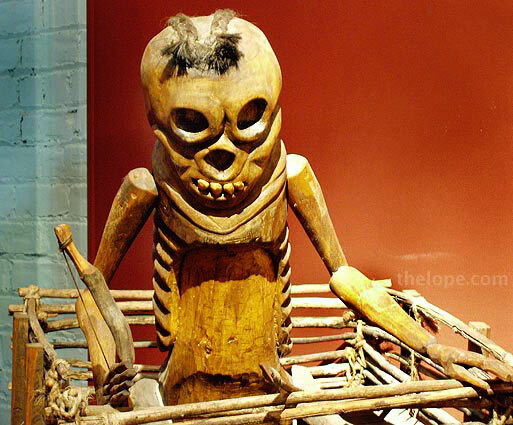 An example of the brotherhood's symbolic Doña Sebastiana, an effigy used during Holy Week, can be found at the Hutchinson (Kansas) Art Center. See our visit with Doña Sebastiana here. 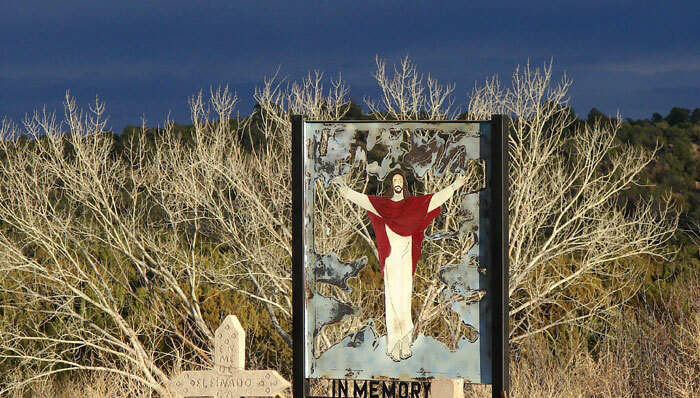 Speaking of New Mexico, I've had requests for more photos from the cemetery of Capia de Santa Rita de Cascia (Santa Rita Chapel) at Bernal, NM (on an old alignment of Route 66). I ran this picture of the monument to Pedro and Virginia Sandoval, last year. 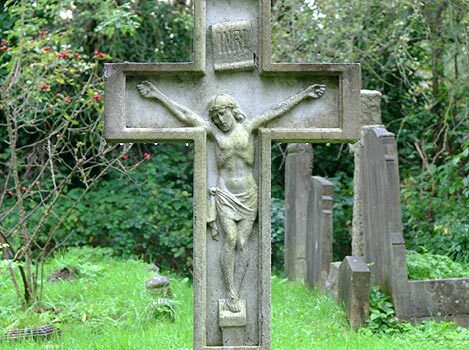 There are several examples of small crucifix's affixed to what appear to be hand-made tombstones in the cemetery. Here's one I hadn't published before. 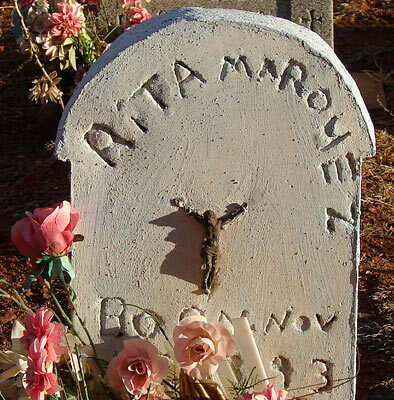 It is the monument of Rita Maroyez. 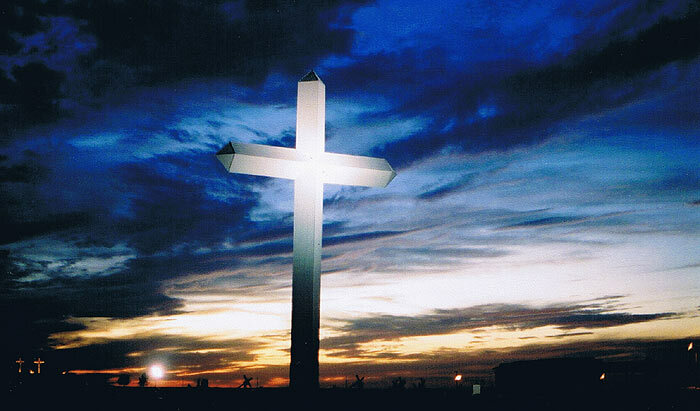 For a look at the cross and the crucifix in London and in Kansas, see last year's Good Friday post. 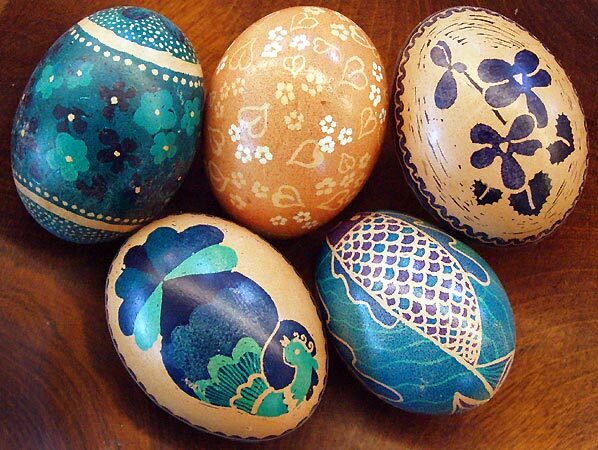 Have some eggs. No; I didn't do these. I'm lucky if I can get an even, solid color on an egg. 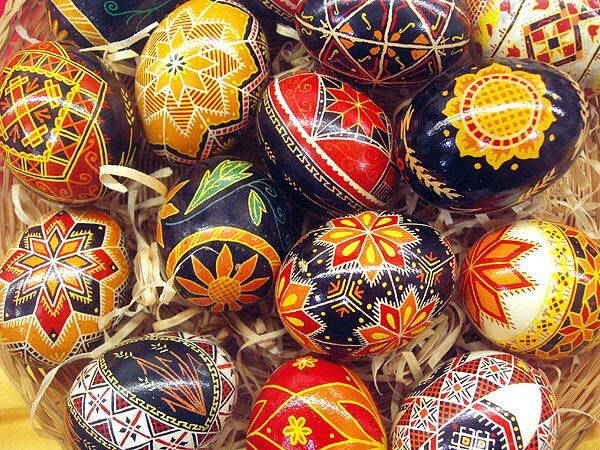 Pysanky egg artists Janet Regier showed us how these are done back in 2006 and we saw a bit more of her craft in 2007. I usually look at Easter Island heads (moai) during Easter weekend. I'll have an update on this big mini-golf moai's fate, very soon. 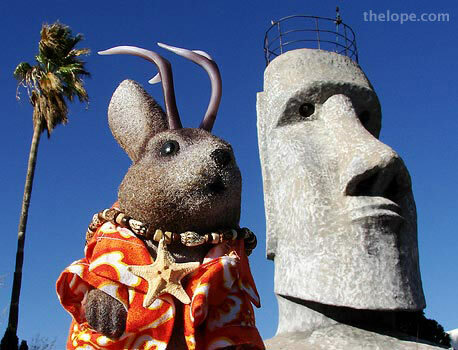 In the meantime, if you're in a tiki mood, check out Happy Easter Island and More Easter Stuff. 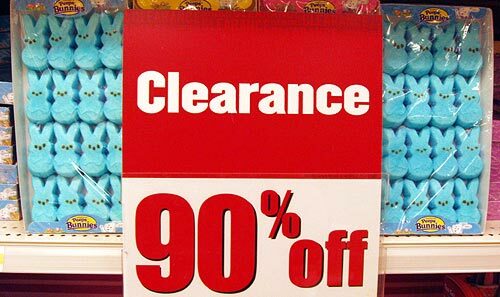 Of course, Easter Clearance starts tomorrow. Ace explicitly told me not to buy any more peeps.